Office catering can be easier than you’d expect. Whether it’s for a meeting, workshop, training session, lunch or anything else, don’t go it alone to leave everyone disappointed. We’ve put together our Top 3 Office Winter Catering Ideas to help keep spirits warm and the positivity flowing with some hearty food that’s sure to warm up the board room. Early meetings can be annoying, especially if everyone is still half asleep. Wake everyone up and fill them with energy to start the day with some breakfast catering. 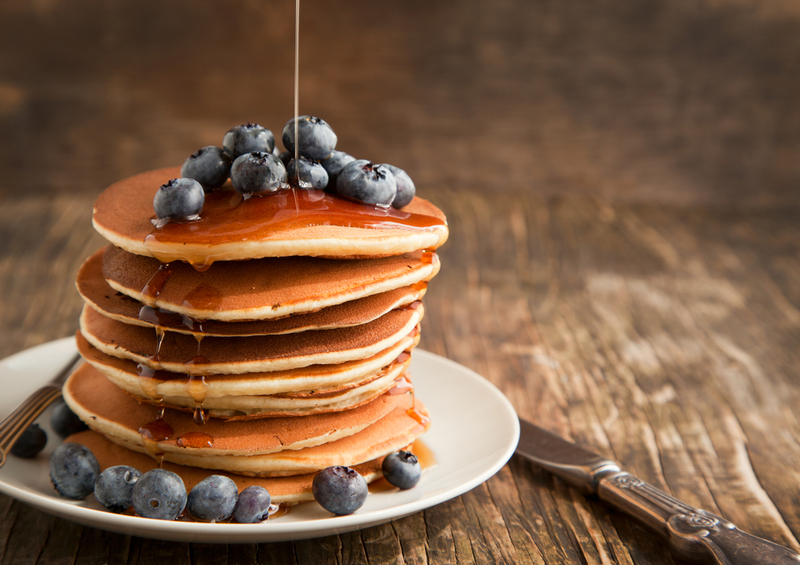 Why not try a Pancake Station with choice of many toppings? Or maybe you want to allow everyone to network in a relaxed environment with some stand-up food. We know that not everyone in the office likes the same things, especially when there are a wide variety of dietary requirements too. A buffet will give people so much choice, they won’t know what to eat! If you’re worried about peoples’ dietary requirements, why not download our checklist to make sure no one missed out on delicious food. 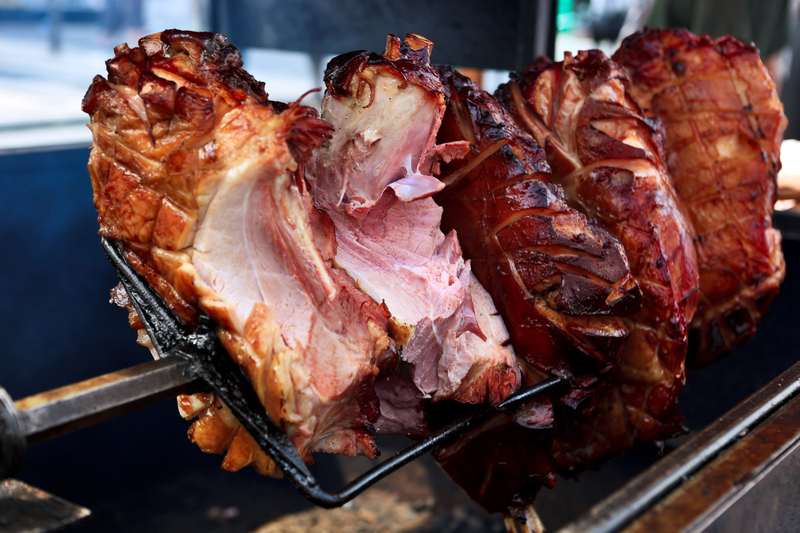 A spit roast is a perfect option for the colder months! Really impress guests, clients and colleagues with a selection of fine meats that are sure to warm up bellies. 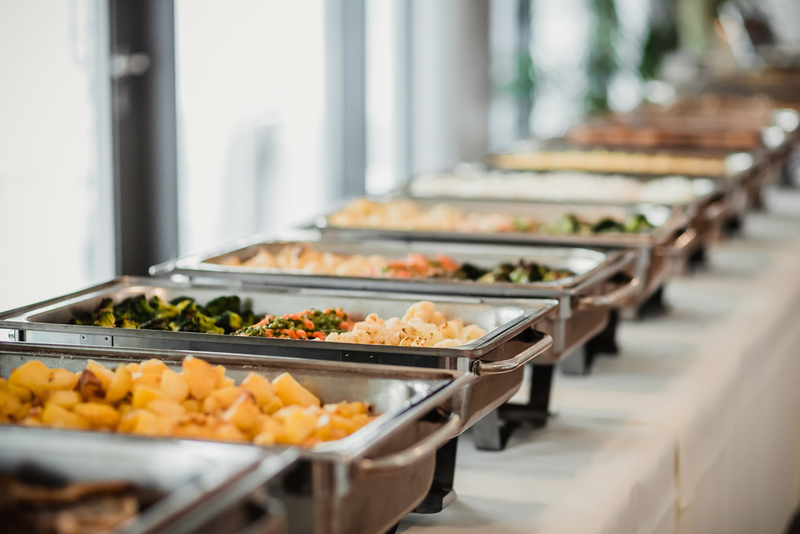 You can view all of our corporate catering packages here. Alternatively, if you’re looking to hold a corporate event, our team is dedicated to making it seamless from start to finish. Take a look! Contact us to book in for your next event! Thanks very much to your team last night, it was a great success. I’m meeting with my team next Tuesday for a debrief on the event, so I’ll reply to your survey once I’ve had a chance to get their feedback too. Can you please pass on our thanks to the ‘Fabulous Catering’ team. I was very impressed with the booking process. I organised this at the last minute causing some anxiety on my part but the process to book in with a specific menu request was met with ease. Then today the staff member arrived on time and had the food set up and ready on schedule. He was extremely polite and efficient. The quality of the food was also great. I would like to continue to use your company for my future events. We run these events across Australia making your company a good fit for our experiences. Alice (I think that was her name) did an excellent job. I will recommend your company to our friends and Business acquaintances in the future. Thankyou for looking after our function so well. The girls on the day were all very professional and extremely organised. I look forward to doing it all again next year. I have attached a couple of photos for you. Oh and don’t mind the sneaky ice-cream  the girls deserved it! I am writing to notify you how happy I am from beginning right through to the end after dealing with your company. It was pot luck I picked your company. You hadn’t been recommended to me, so I just searched the internet and picked you. Ordering was so uncomplicated which was great. I received an email back as promised and a text message a few days prior to the party. I direct payment into your account which was handy as I hate using credit cards. Your staff member was prompt, courteous and had a lovely smile. The food was delivered at the agreed time and was hot as promised. The guests enjoyed the food immensely. To be honest I was a little nervous using a company I just found on the internet but in this case it was the best decision I made. I loved the platters the food were delivered on, the sauces the food came with and the serviettes. I would rate your customer service and product 10/10 as there is nothing I can fault you on. My daughter really had a fantastic 21st Birthday and I was happy I didn’t have to spend it in the kitchen. I just wanted to thank you all for the hard work that your staff put in on Saturday night for our daughters engagement. The food was amazing …..so many comments , The staff were fantastic! The bar staff need a special mention….those two young men were brilliant!!! Nothing was too much trouble and they worked like crazy !! I highly recommend them . Thankyou again for making our night so enjoyable …..I did not worry at all about food/drink because your staff had everything under control !!!!! Just wanted to say thank you for the catering on Saturday night. It all went well, the chef was great and the food was delicious. Everyone enjoyed. Just wanted to say how “blown away” the guests were with the FFF prepared and level of service on the day of our party. It was just exceptional what can I say except THANK YOU SO VERY MUCH to you and Jeremy & Pam. Will be in touch for sure for the next function. I just wanted to sent through an email saying, thank you. Thank you for your services and hopefully we can use you more in the future. Contact us and we'll tailor a menu especially for you! Fill out the below form to send us your details. We will then contact you, SAME Business Day!